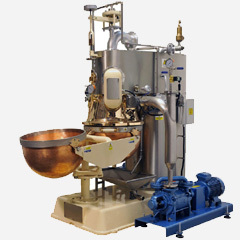 A.M.P-Rose 750T cut and wrap machines is a versatile cut and wrap machine that is designed for metric standards of wide range of sweet shapes, sizes and recipes. 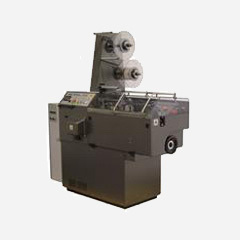 Global market leaders using A.M.P-Rose 750T cut and wrap machines for its added confidence in keeping abreast of changing markets by the easy change of size or style of wrap on this machine. Wrapping style has a double end fantail twist with twist wrapping grades of waxed paper, cellulose film or PVC. 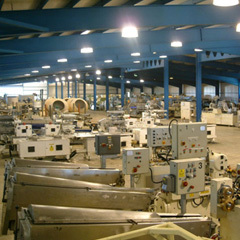 The machine can be used with both single wrapper with an understrip, or overstrip. 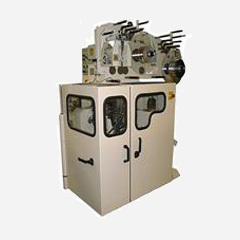 The reel sizes are standard core diameter 57mm and 77mm that can extend to maximum reel diameter 335mm. 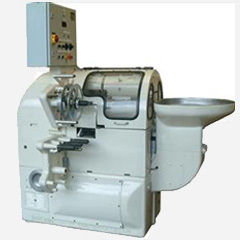 The machine speed at maximum is twist 750 per minute. The power requirement for motor is 2.2kW and a heater is 0.2 kW that can be up to 0.6 kW on other versions.